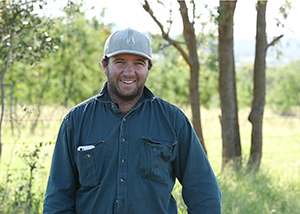 Fitzroy grazier Louis Moore has seen the benefits from being involved in the Queensland Government funded Grazing Best Management Practice (BMP) program and Australian Government Reef Trust A-class Grazing Project, supported by the Fitzroy Basin Association. By introducing extra water points and fencing, his property has increased its pasture diversity, carrying capacity and productivity while reducing sediment run-off. "BMP gives you a reference point for down the track, to come back to and see how your business is performing," Louis said. "Approach everything with an open mind. It’s just such a good opportunity to learn new skills." Learn more about Louis’ involvement in grazing projects at Land management evolution at Dovecot and CQ graziers outline the benefits of undertaking Grazing BMP. Central Queensland graziers Kirstie and Mitchell Olive have also seen many benefits from being involved in the Reef Trust A-class Grazing Project. "It’s always great to look at ways to review the production system that we have and see whether there is an opportunity to increase the profitability of the business and sustainability in the long-term," Kirstie said. "We’ve definitely found opportunities for us to increase our data management and record keeping and also new ways of keeping track of what’s happening on the farm in biosecurity, animal welfare and pasture management." 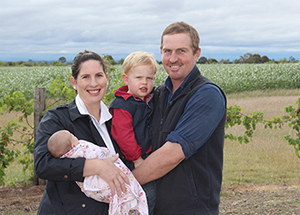 Learn how how Kirstie and Mitchell are benefitting from industry training.